Rare Rose loves attention and treats, but has decided that she no longer loves racing or the track environment. 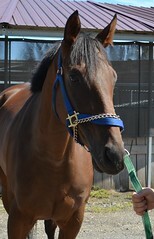 She won three races last year, then got to spend the winter enjoying turn out at a farm, and since coming back to the track this spring, she is letting her connections know that now that she has tasted the slower lifestyle, she would prefer a new job other than racing. 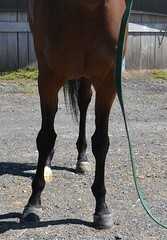 The assistant trainer, who is also her exercise rider, says she is sound, and when she rides her to the track for morning exercise, Rose likes to stop, gaze around, soak up the activity, and just stroll along as if it were just a trail ride. She thinks that Rose would love being a trail horse or going on hunter paces. 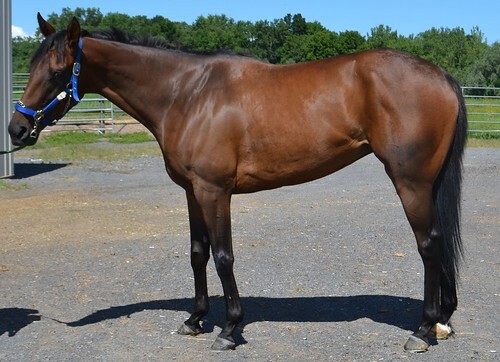 Rare Rose is a good looking mare, with a deep girth and good shoulder, and clean legs. At the track, stabled near colts, she came into heat a lot this spring, but since being moved to an off-track farm, she no longer displays this behavior, and has reverted to her sweet, treat begging ways. 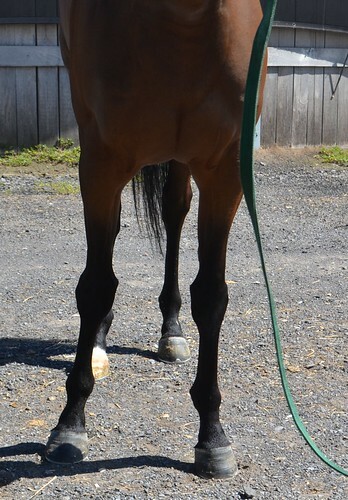 For her jog video, Rose looked a bit stiff in the shoulders, and her exercise rider says she starts out that way but then once warmed up she strides out nicely with good reach from her shoulders. 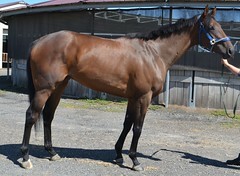 Rare Rose is by Run Away and Hide, who is a son of City Zip out of a Runaway Groom mare. Rose’s dam is by Elusive Quality, who is a son of Gone West, and she is out of a mare by Danzig’s son Polish Numbers. These are excellent sport horse lines. As always, a pre-purchase veterinary exam is recommended. 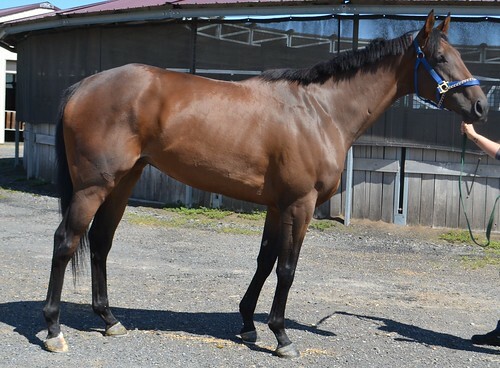 Finger Lakes Finest Thoroughbreds, Inc.